The Port of Portland may lose as much as a third of its container volumes due to the withdrawal of "K" Line ships from the port. 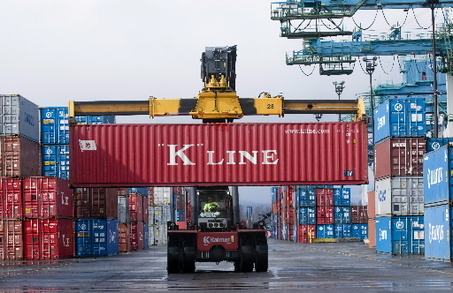 "K" Line made its final call at the Port of Portland last week, after discontinuing a service that it started just eight months ago. The Japanese carrier started calling in Portland with 5,500 TEU ships in July 2008, replacing calls from smaller Yang Ming ships in the pendulum service provided by the CKYH Alliance. Alliance partners Hanjin and COSCO will continue calling in Portland. Port officials credited the downturn in the economy for "K" Line's decision. The loss of "K" Line's direct service to Japan will negatively impact a number of Pacific Northwest exporters, as well as the port.